Garrettsville – The Christmas Walk 2018 kicks off on Thursday evening, November 1st from 6:30-9 p.m. with the Candlelight Night Walk. Enjoy this wonderful evening with your friends and family strolling through a special night of the Christmas Walk. Start out the night at the historic Mott building with hors d’oeuvres, desserts and champagne punch. Choose from an array of decorated, home made birdhouse ornaments specially designed by members of the historical society. Then enjoy a candlelit advanced preview of four beautifully decorated homes where you will also receive a special treat from the homeowners. 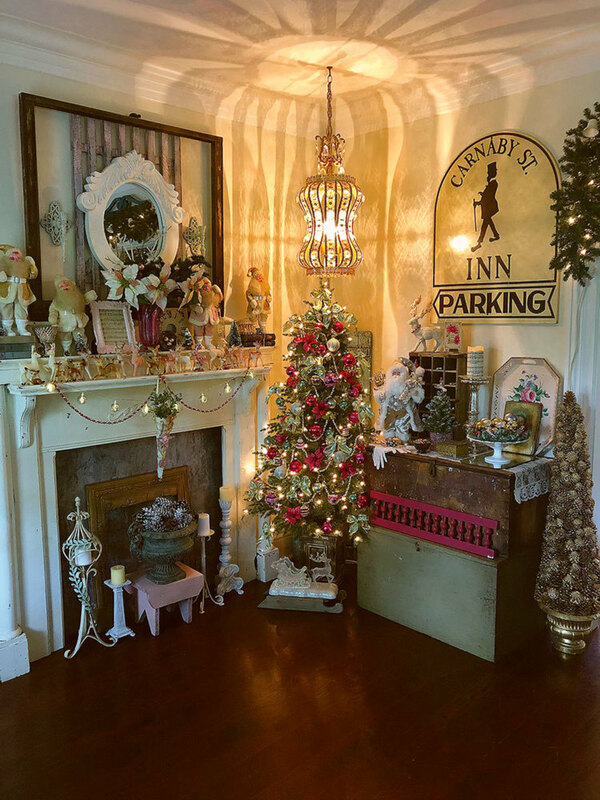 From “Believe in the Magic” where Christmas has waved a magic wand over the 1860’s Victorian style farm house, owned by Joe and Denise Romecki, this house, with its eclectic mix of decor will leave you believing in the magic, to the “Crafty Christmas Wreath Home”, owned by Richard and Gale Lane, where you will see over 20 modern wreath designs that will certainly inspire you. Continuing on through the night, Russ and Darlene Kearney welcome you to Bittersweet Farms where they will be celebrating “Simply Christmas on the Farm”. At this home you will enjoy uniquely decorated trees, walk the garden and enjoy the lakes which reflect the heavens at night. While walking through the final home, owned by Ryan and Shani Kissell, be prepared to be filled with “Comfort and Joy at the Dunnbrook Farm”, from reading a book to playing games with the family, this 1850’s farmhouse will show you many ways to relax and unwind for the holidays. The fun doesn’t stop after touring the homes! Walk into St. Ambrose Catholic Church to see a “Simple Village Christmas”, complete with the true meaning of Christmas, a “live” nativity! This year’s raffle quilt will be on display at St. Ambrose with the tickets available at the Kissells’ house. Join the parishioners downstairs in the church hall for a delicious homemade meal of hearty beef chili, with all the fixings, sour cream, cheddar cheese, corn bread and oyster crackers or chicken and dumplings. Both options include a side salad, dessert and beverage. The James A Garfield Historical Society is now taking reservations for the Candlelight Night Walk — tickets are $25 per person. The regular Christmas Walk hours will be Friday and Saturday, November 2, 3 and 9, 10 from 10 a.m. -5 p.m. and Sundays, November 4 and 11 from 12:30-5 p.m. Tickets are purchased at the J.A. Garfield Historical Society and cost $15 per person.